We are E-Commerce Based Web Development Agency, providing creative ecommerce websites solutions for small and large scale businesses that are looking to expand and sell their products online. 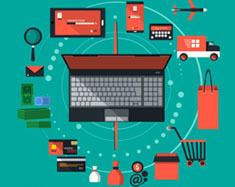 In this Digital Village, Ecommerce is playing elegant and leveraging powerful technologies to facilitate customers and speed that matter either desktop or mobile for the process of online purchase by segregating categories, products, brands, price & reviews. 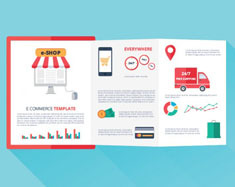 Many small businesses are getting extremely profitable through their Ecommerce Website like example Macys, Flipkart, Amazon, Ebay and many more. 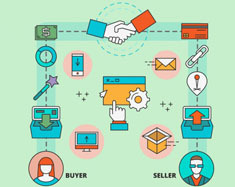 Small companies and individuals can also market their products or services on a worldwide basis through e-commerce solutions. 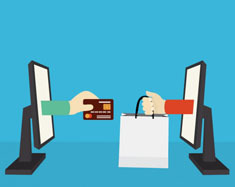 Our e-commerce web development solutions helped various businesses to set up their online store, Give us a chance will help you building your business.